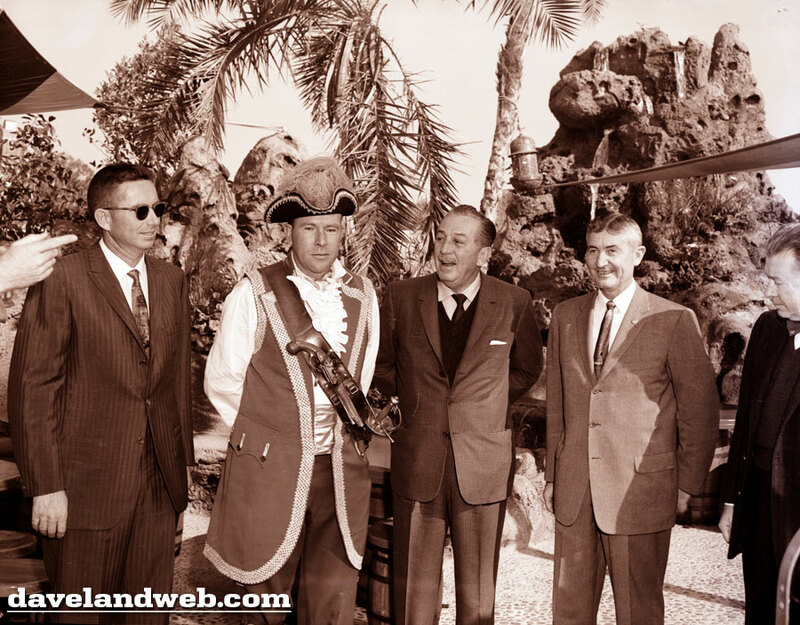 If you’ve been on my website, you've probably seen this shot from the christening of the new and improved Chicken of the Sea Restaurant at Disneyland which included the Skull Rock Lagoon. 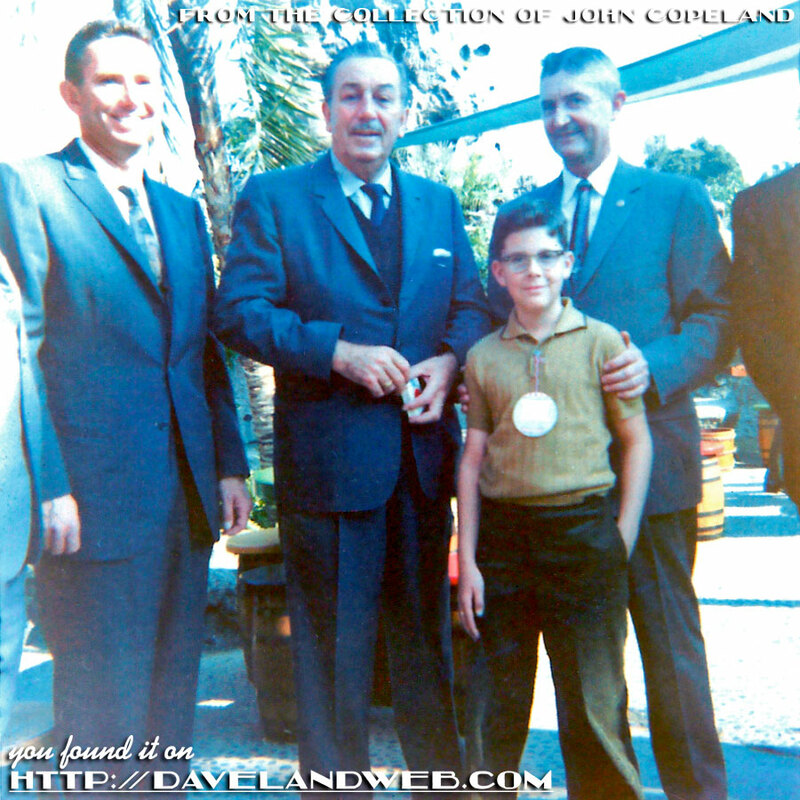 Recently I was contacted by somebody who pointed out that I had misidentified the gentlemen surrounding Walt, who are Gilbert Van Camp Jr. and Gilbert Van Camp Sr.
Why would I listen to some know-it-all who contacts me out of the blue? Because he was there that day! John Copeland is the lucky little boy, standing with his father Glenn Copeland. 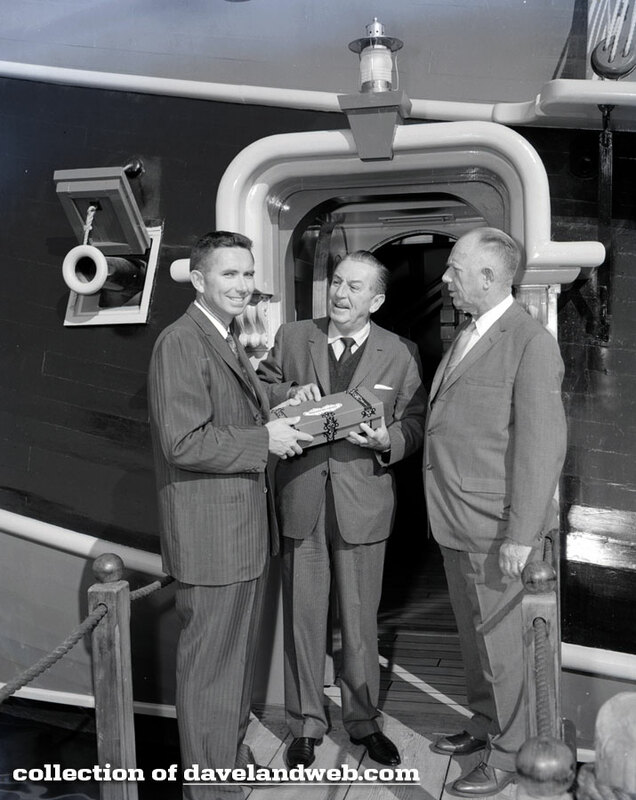 Note the Lucky Strike cigarettes in Walt's hands. Many thanks to John Copeland for contacting me and sharing this way cool photo! Thanks for the update, Dave and John Copeland.